Will support for your adjustments hold up under scrutiny? How do you determine the right adjustment? Is it based on what you were told when you were learning the appraisal business, someone else’s opinion or…do you apply the correct methods in your appraisal practice? 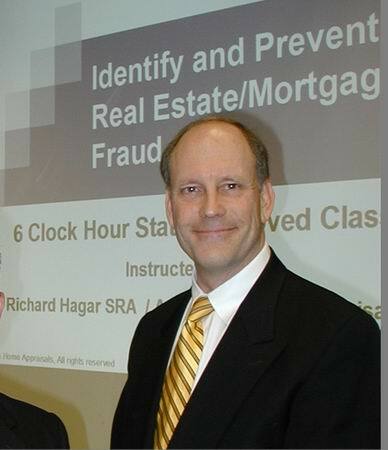 In How to Support and Prove Your Adjustments, Richard Hagar, SRA explains the most common appraisal pitfalls when determining adjustments and shows you how to provide the proper support, analysis and documentation for adjustments in your appraisal report and workfile. This course will help you understand and utilize quick and simple methods for proving adjustments that improve the quality of your reports and help you avoid problems, blacklisting and legal actions. The rollout of Fannie Mae’s new Appraiser Quality Monitoring system (AQM) is changing the nature of the residential appraisal world. In 2014 so far, Fannie Mae has issued numerous “updates” and changes to their AQM policies, including additional requirements with respect to its Quality and Condition Q&C ratings. Reviews indicate that appraisers are failing to consistently apply the right Quality Rating to subjects and comparables. As a result appraisers are subject to “gray” or “blacklisting” by Fannie Mae’s new AQM system. In this webinar, Hagar provides a blueprint for staying on Fannie Mae’s good side by understanding how to determine Q&C ratings and adapt to Fannie’s changing requirements.